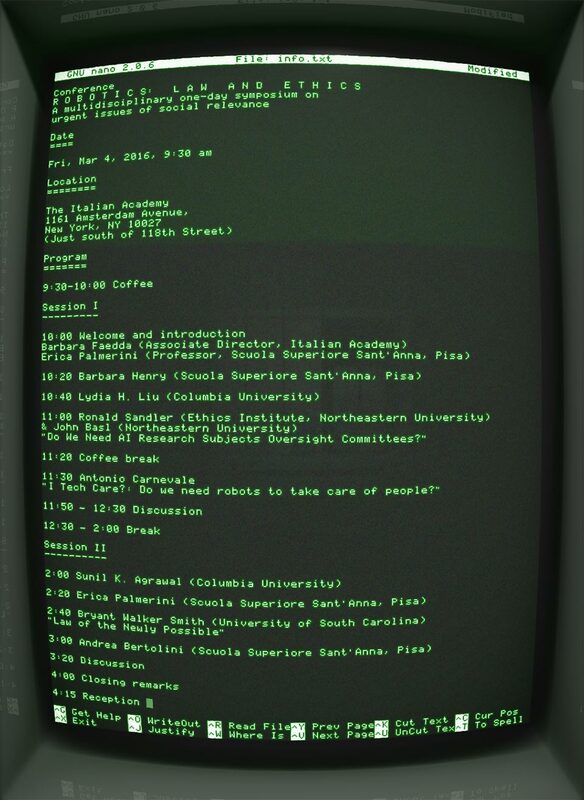 The initial brief: Make a poster to advertise a robotics, law and ethics conference with lots of text. And don’t use any images. So I used a text editor running in a terminal whose output was piped through the wonderful Cathode app. 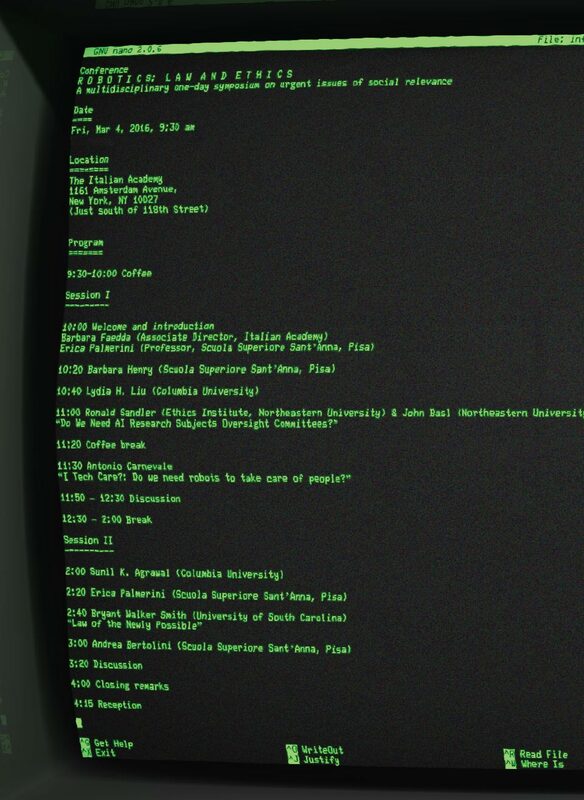 A large terminal image stuck to a wall would be unusual and stop the viewer — the primary purpose of a poster — I feel. The secondary purpose is to provide information and tell what we want the viewer to do. In this case, attend a conference. Another outtake of the idea. The brief has since been changed and the text rewritten, so this wasn’t used. In good design, as in good photography, one most often says ‘no’, and throws away. I quite like it, anyway.